Watch our video about: How to prepare for MBA interview. Our Managing Director, Jason Skinner, sits down for a webinar and answers students’ questions about how to prepare for the MBA interview. 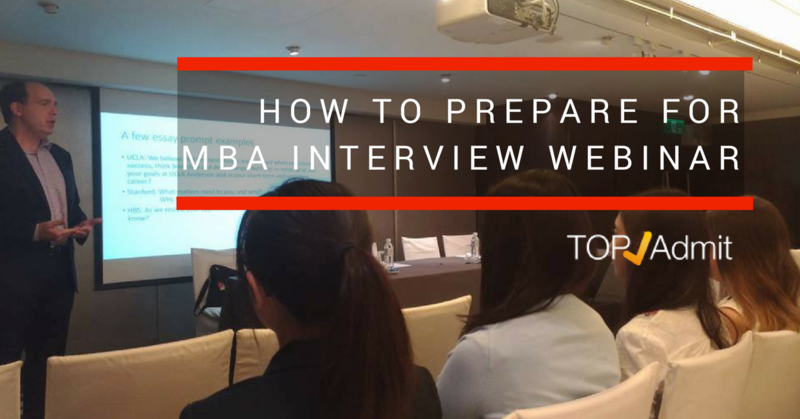 Webinar: How to prepare for MBA interview – RSVP now! - Gong Xi Fa Cai – Use code BYEMONKEY to get 15% OFF! I’m not easily imespsred. . . but that’s impressing me! TopAdmit is a worldwide leading provider of education consulting and college admissions essay editing. Check the website for services and free samples. 5 Tips To Edit Your Resume Like An Expert! Subscribe to our mailing list & get the latest updates!